Orvis Cattle Company is one of the premier seedstock producers in the Hereford cattle industry. Our primary product are Hereford breeding stock (herd bulls and cows) that we sell to the commercial cattle industry. 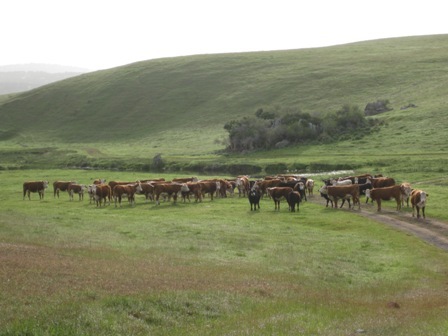 Our herd is oldest commercial Hereford herd in California, established in 1918. 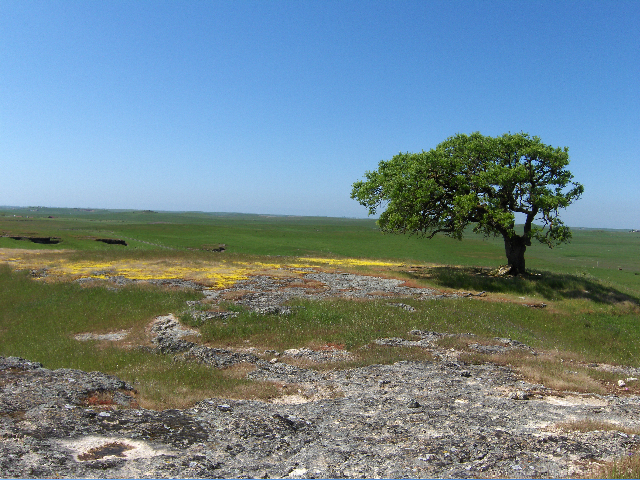 We are located 11 miles east of Farmington, California on State highway 4. See Map and Directions on the Orvis Cattle Co website for directions. This herd has been under the continuous management of the Orvis family and a Harper cousin for four generations. 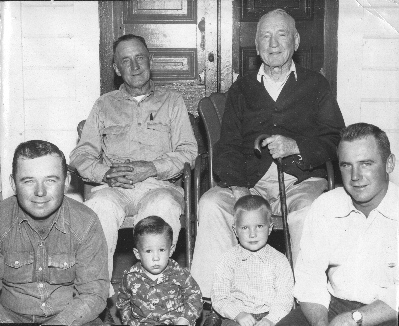 This photo shows four generations of Orvis' Top right is C. Bruce Orvis, top left is his son, William Snow Orvis. Bottom right is C. Bruce Orvis II and bottom right is James L. Orvis. Between them are their oldest sons Jim on the left and Bill on the right. 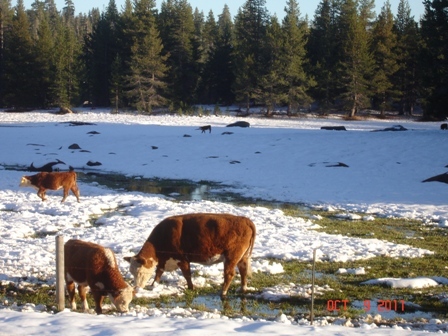 Orvis cattle are raised primarily at the historic Snow Ranch in northern Stanislaus county. 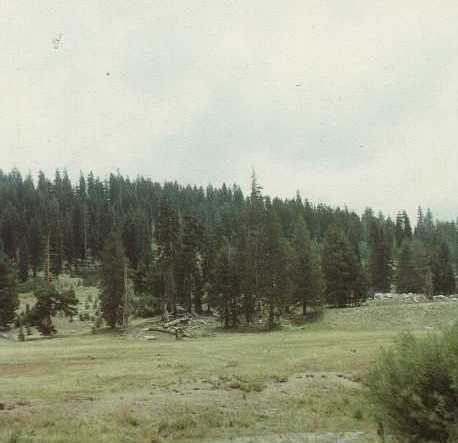 They also spend time in Bear Valley in the high sierras. Splitting time between the valley ranchland and the high sierras produces stronger, better conditioned animals. We had an early snow this year but the cows figured it our right away. In addition to our registered herd, we raise Herefords and black-baldies (Hereford/Angus mix) for the grass fed beef market. For more information about Orvis bulls, see the Orvis Ranch website.